Albufeira is the ultimate family holiday destination as well as the best place in the Algarve to party. The town is divided into the old town and the Strip. The old town is a beautiful white city with cobbled streets, where you can find over 100 family focused restaurants. The Strip is renowned for its nightlife full of clubs, pubs and bars that stay open till early morning. Albufeira is located near the beach and is a 35 minute drive from Faro airport. After reading this article, you will be the tour guide when visiting Albufeira. 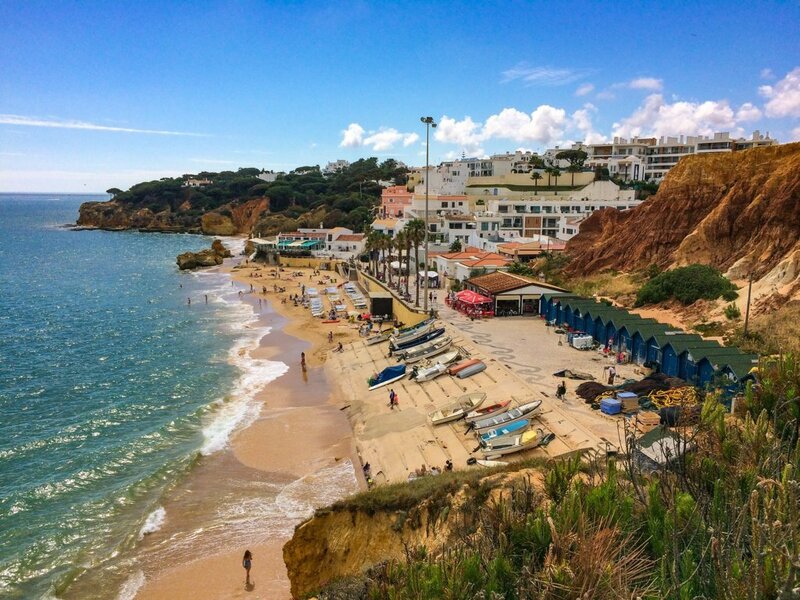 Are you planning to visit Albufeira anytime soon? Then watch the short video below to find out the highlights of the town. Albufeira is famous for its crazy nightlife. The best areas for going out are the old town and the Strip. In both places you will find lots of bars and clubs. The Strip is located near the Praia da Oura, a beach that is popular among young tourists. There are cocktail bars, bars with live music, karaoke bars and bars where you can dance. Most clubs don’t get going until 1 AM and do not close until sunrise. Popular clubs are Kiss, Club Vida and Le Club. The nightlife in Albufeira is like no other. 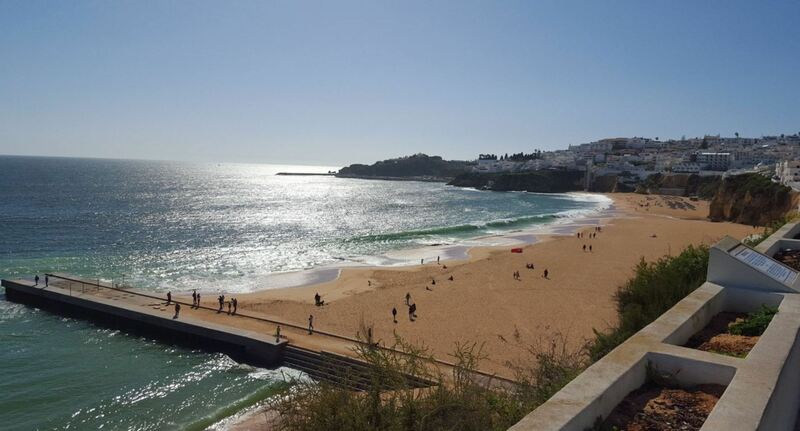 There are several superb beaches around Albufeira. They are surrounded by high sandstone cliffs, which provide shade in summer and protection against the wind in the winter. The beaches of Albufeira are very popular with tourists. 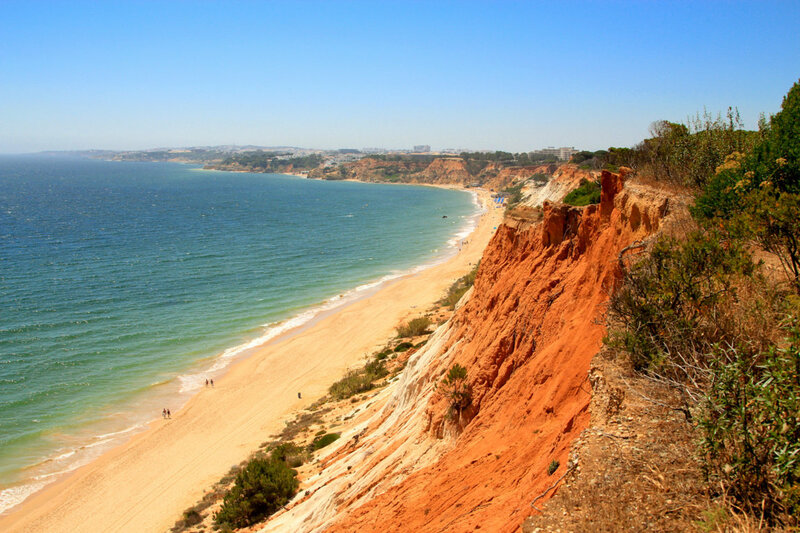 Below you can find an overview of our favourite beaches near Albufeira. Praia da Galé. This golden beach has an undeveloped feel and is a great place to escape the crowded city beaches. Located 4 kilometres west of Albufeira. Praia de São Rafael. This spectacular beach is surrounded by beautiful rock formations. On top of the cliffs you can watch a beautiful sunset. Praia da Falésia. This is one of the most amazing beaches in the Algarve. The beach is known for its stunning rock formations. It can be compared to the Grand Canyon on a beach. Praia de Santa Eulália. This wonderful beach is surrounded by cliffs and beautiful pine gardens. Great beach to visit in the Albufeira region. Praia da Oura. This beach sits near the Strip and is famous for its crazy nightlife scene. This is the #1 party beach of Albufeira. Praia dos Olhos de Água. On this beach you can find natural freshwater springs in the sand during low tide, which look like eyes. Praia do Inatel. This city beach has nice sand and clear waters. The beach is named after the Inatel hotel, which was the first building that was built right on the beach. Praia do Túnel (also known as Praia do Peneco). 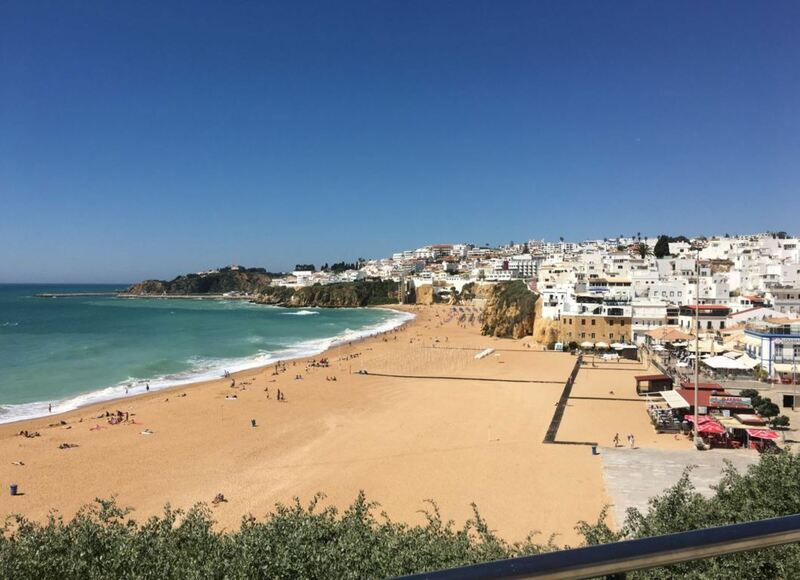 Together with Praia dos Pescadores, this is one of the two beaches situated right in front of the old town of Albufeira. Due to its location, it can be quite crowded. Praia dos Pescadores. Together with Praia do Túnel, this beach is situated in front of the old town. It attracts many people. If you seek privacy, go somewhere else. There are many good restaurants in Albufeira. Below you can find our absolute favourite restaurants. Os Arcos Restaurante. 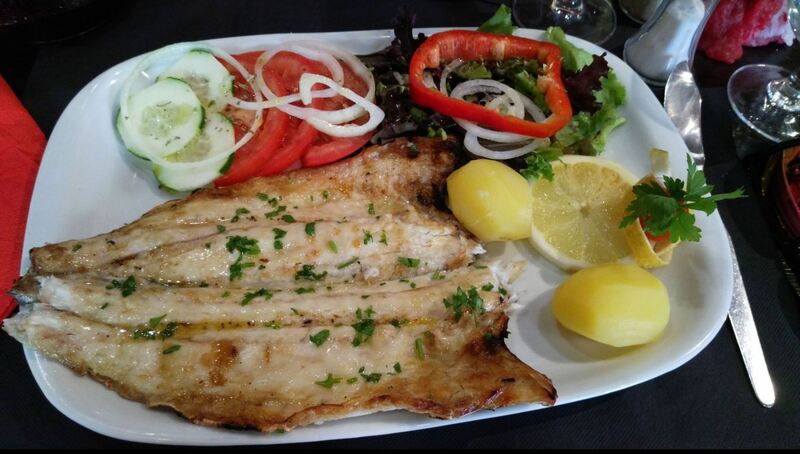 This Portuguese restaurant has excellent fresh fish and homemade food. It is located in the old town of Albufeira. The atmosphere is nice and the service is friendly. Restaurant O Marinheiro. Located in the area of Sesmarias, this restaurant has built a reputation for great Portuguese food. Their dishes are prepared with the freshest ingredients. Spice Lounge. If you like spicy food, this place is heaven. 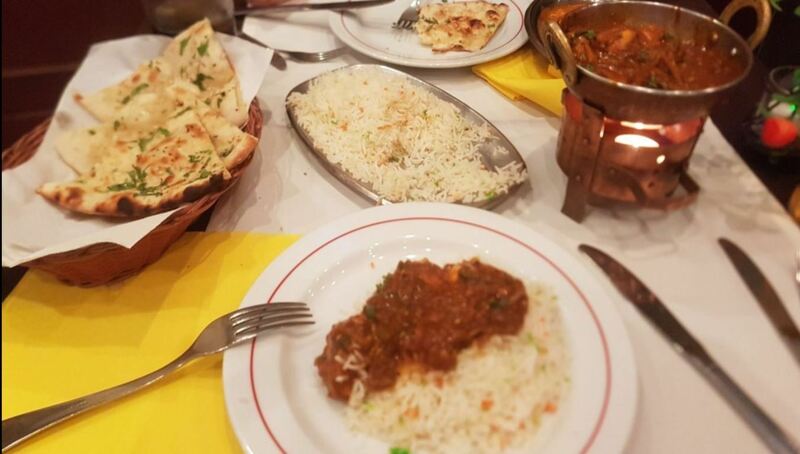 The Indian restaurant offers very tasty food and is not that expensive. Also, the service is really good. Senhor Frogs Pizzeria. This is one of the best pizzerias in Albufeira. Their pizzas are fantastic. It is located near the Strip, in the new town of Albufeira. Restaurant Vila Joya. This restaurant is run by Chef Dieter Koschina and has two Michelin stars. They offer a daily changing six-course menu. The quality of the food is superb. Located in the famous 5 star Vila Joya hotel. Al Quimia. This restaurant offers highly original dishes that are designed by Portuguese chef Luis Mourão. 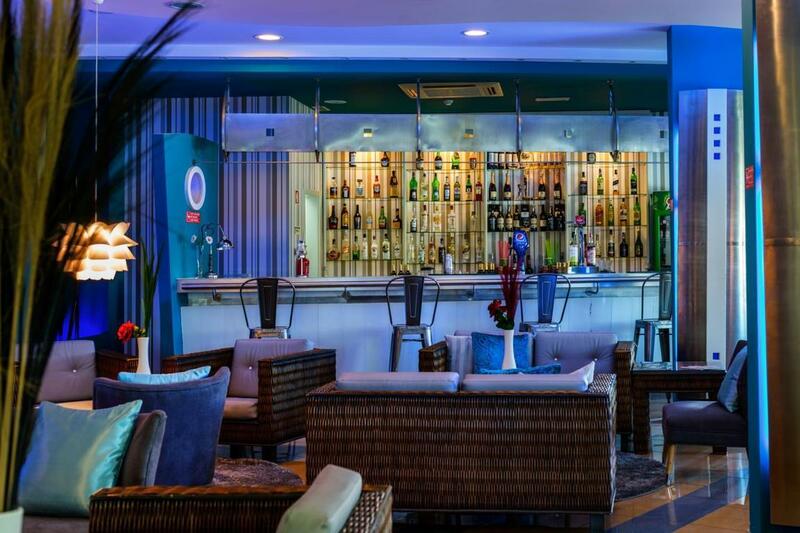 Located within the Epic Sana hotel, near Praia da Falésia. Vila Joya. 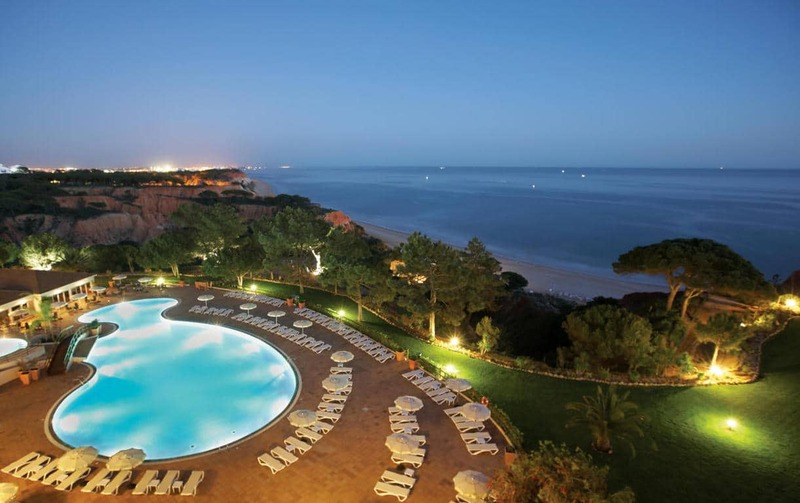 This 5 star resort is one of the most exclusive hotels of Albufeira. It has several swimming pools and spa facilities. 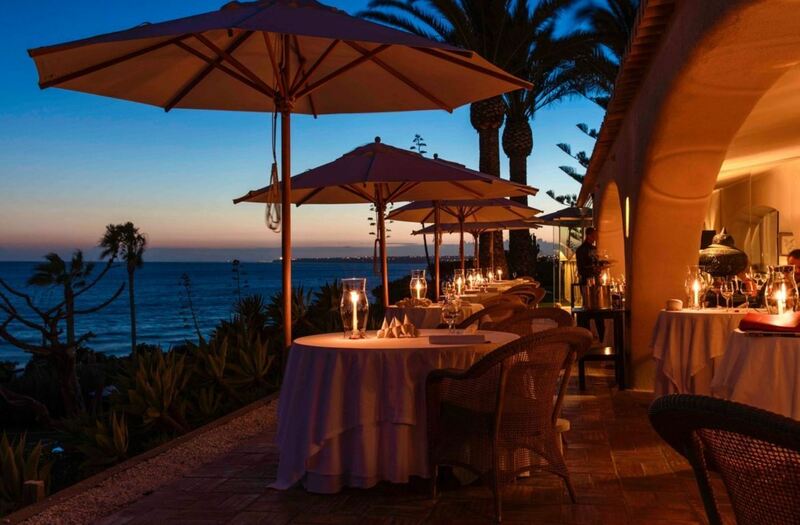 The hotel houses a two star Michelin restaurant and overlooks the beach of Praia da Galé. PortoBay Falesia. 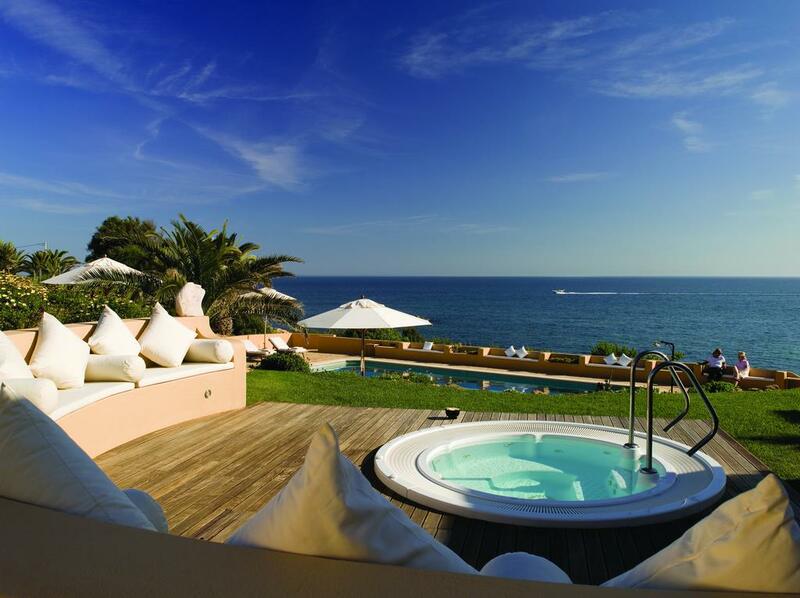 This highly rated 4 star hotel near Praia da Falésia has a great view over the sea. The hotel offers a nice swimming pool and wellness centre, including steam bath and fitness room. It has two restaurants: an international one and an Italian one. Velamar Boutique Hotel. This hotel is located near Olhos de Água. It was fully renovated a couple of years ago. It has everything you need for a great holiday in the Algarve. You can for example rent a bike from the hotel, which is a wonderful way to explore the area. After the busy summer season of last year, we recommend to book your hotel now, as it will probably sell out. Below you can find a map with the location of hotels in Albufeira. By changing the date of your holiday, the map will show you the current prices. 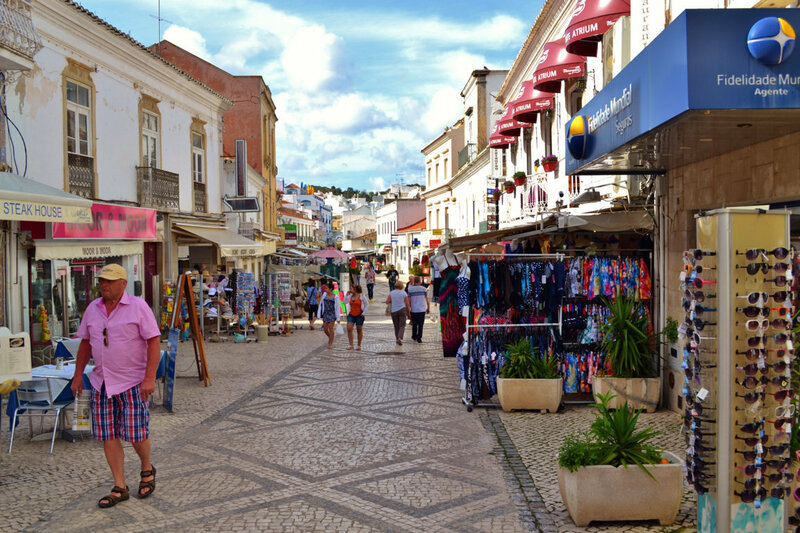 The old town of Albufeira consists of lovely cobblestone streets with mosaic patterns. Even with the rise of mass tourism, it has retained its chaim over the years. There are many shops, restaurants and bars in the old town. The area is very lively, with live music and entertainment on the streets during the summer. There is a very relaxed atmosphere in the old town. The old town is a great place to just walk around. 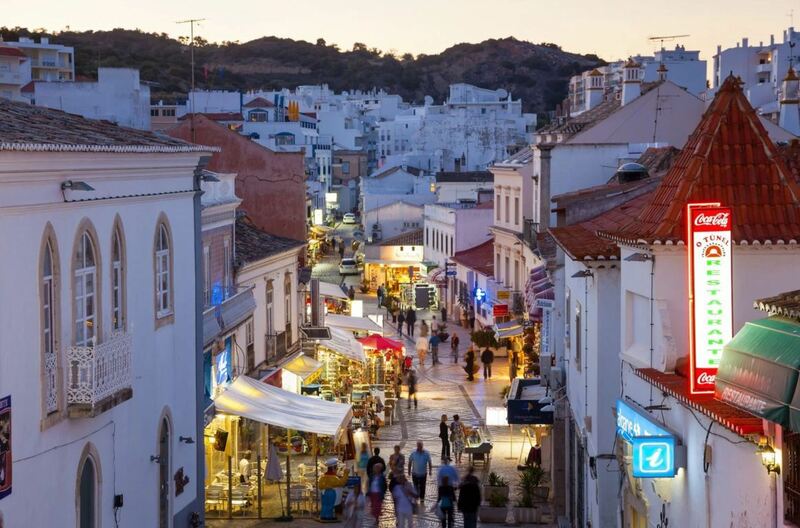 It is easy to spend a couple of hours walking through the historic centre of Albufeira. You will discover small and quiet alleys, as well as crowded squares. When you walk in streets like Rua da Igreja Velha, you will see Albufeira’s typical narrow streets and old houses. The main square in the old town is the Largo Duarte Pacheco. The square is surrounded by many bars and restauants. Here you will find good places to sit outside, relax and watch the people pass by. Largo Duarte Pacheco is the central point of the evening scene in the old town. Nearby the square, on the main street Rua 5 de Outubro, you can find the tourist information office. 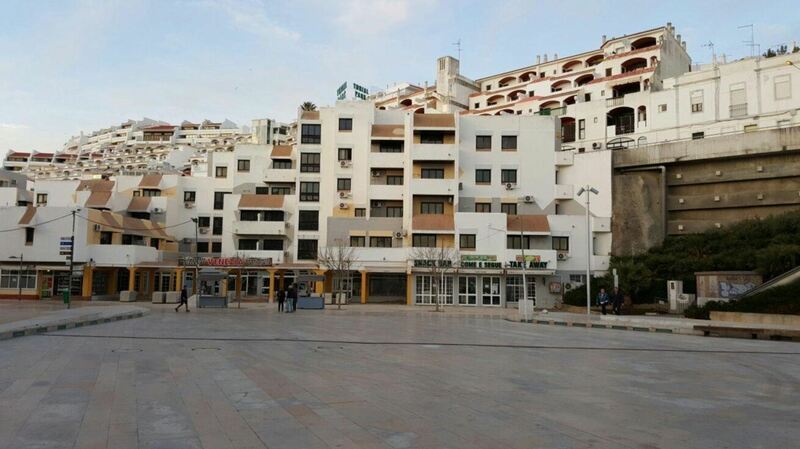 There is also another square, near Praia dos Pescadores. Here you can find several bars and restaurants as well. In front of the old town of Albufeira you will find two beaches: Praia dos Pescadores and Praia do Peneco (Túnel). You can go to the beach via a tunnel, an elevator, an escalator or by walking from downtown Albufeira. On the beach you can see the colourful fishing boats and the fishermen unloading fish or mending their nets. Near the beach, in front of the famous restaurant A Ruina you can see the building of the fish auction. On the eastern side of Praia dos Pescadores, there is a great viewpoint called Pau da Bandeira. 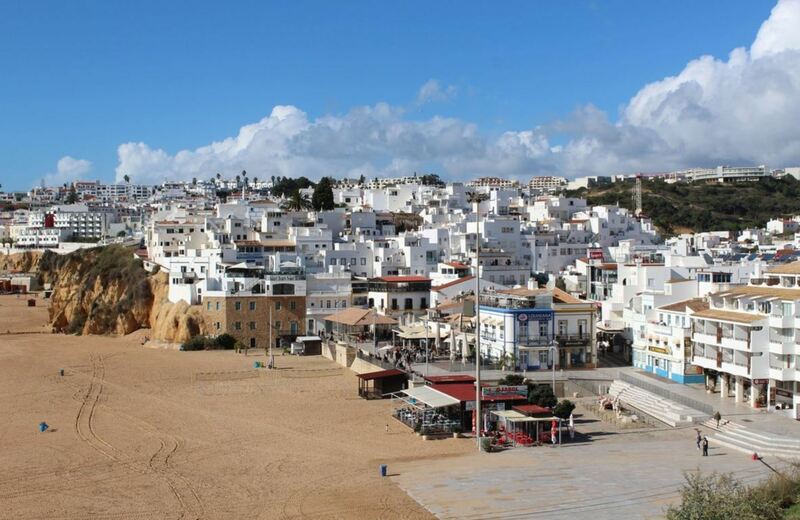 Here you can enjoy the best panoramic view over Albufeira and take good photographs. From here you see the old town with its white houses, the beach with fishing boats and the sea. There are benches to sit and enjoy the beautiful views over the bay. You can access the viewpoint from the old town by escalator. 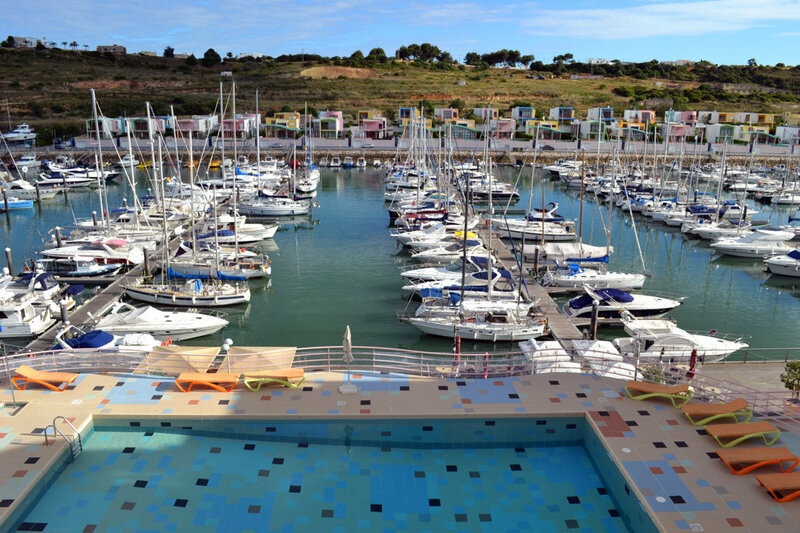 Albufeira has a relatively new marina, which is located west of the old town. Here you can walk around and see the many boats in the marina, surrounded by colorful buildings. The blue, green, pink, orange and yellow buildings are a big contrast to the white houses you can see in the old town. This area around the marina has a different atmosphere than the rest of the city. The marina is also the starting point for many boat excursions in the area. 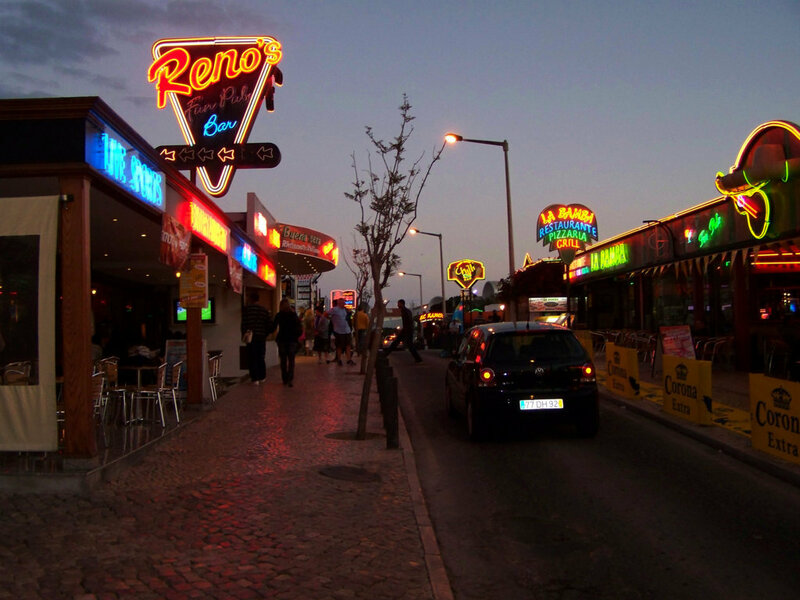 To the east of the old town of Albufeira you will find the area of Areias de São João, commonly known as the Strip. 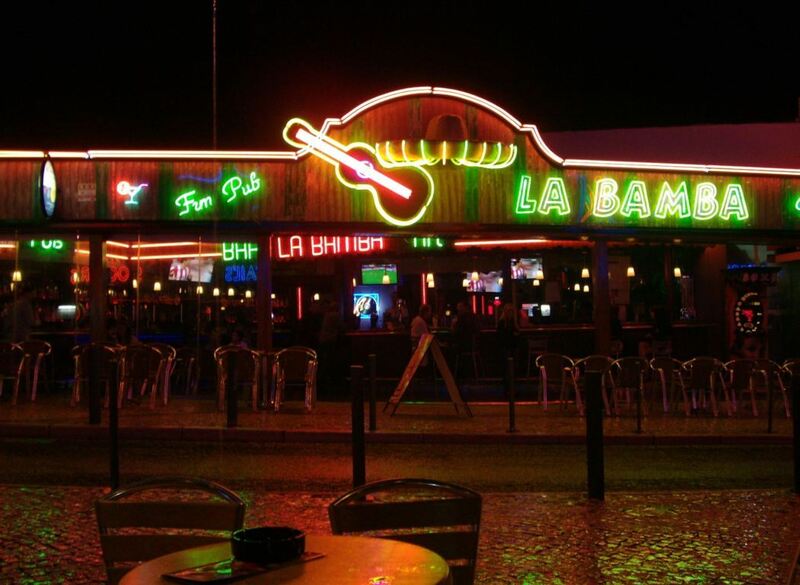 This is the busiest nightlife area in Albufeira and perhaps in the entire Algarve. In this area you will find countless bars, restaurants, clubs and shops. It is also very near Praia da Oura (Oura Beach). The most crowded months are June, July and August. During summer, the party here continues until early morning. The Strip is very popular among young people who just graduated and groups of friends celebrating their hen & stag parties. At the north end of the Strip you will find the landmark hotel Montechoro. This part of the Strip is relatively more quiet. The area around Montechoro is great for people who want to go out, but not be among a drunk and screaming crowd. 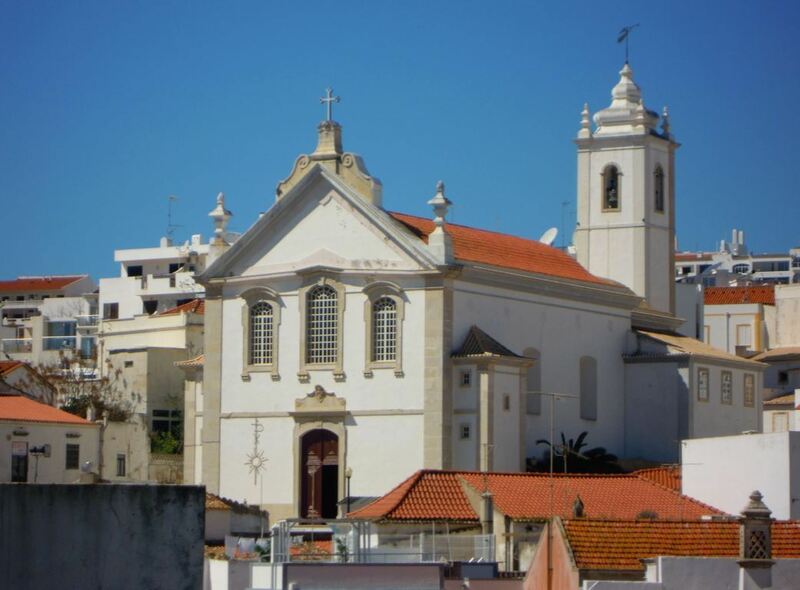 In the old town you can find the beautiful church of Nossa Senhora da Conceição, also known as Igreja Matriz. This church dates from the 18th century and replaced an earlier church that was destroyed in the earthquake of 1755. Guia is another village in the municipality of Albufeira. This village is specialized in the delicious piri-piri chicken. 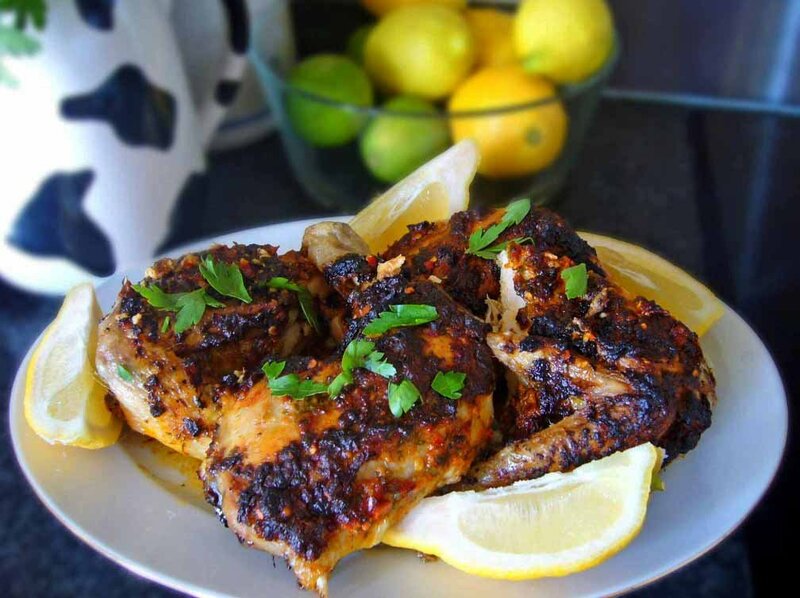 The chicken is barbecued on charcoal and spiced with hot chili sauce. Usually served with a tomato salad and chips. Piri-piri chicken is a delicious and cheap specialty from the Algarve. You can for example try it in restaurant O Teodósio. Another village in the municipality of Albufeira is Paderne. 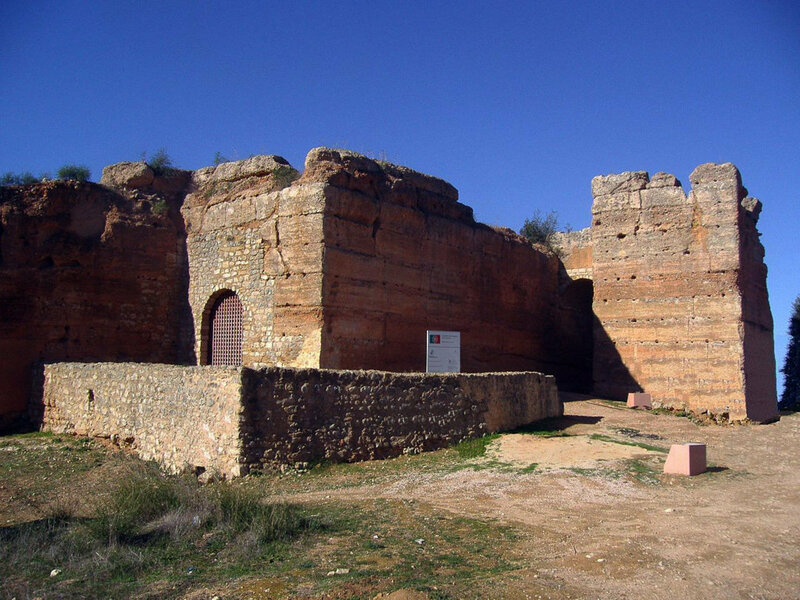 Here you can see the ruins of an old Moorish castle, known as the Castle of Paderne. The castle was constructed in the 12th century. It was actually one of the last Moorish strongholds to fall to the Christians. Al-Buhera Festival. Every July, there is a cultural festival on the square of Praia dos Pescadores. There are live concerts and dance performances. You will also see countless displays of handmade products. Also there is delicious food. The entrance is free. Festa do Pescador. The first weekend of September, Albufeira celebrates the Festa do Pescador (Fisherman Festival). You will be able to taste lots of fresh fish and seafood. There is also live music and dance performances. International Sand Sculpture Fesitval (FIESA). Every year, professional sand sculptors from all over the world come to the Algarve to make the most amazing sand sculptures of people, animals and places. Highly recommended to visit. It is held in Pêra, which is a 20 minute drive from Albufeira. New Years Eve. Every New Years Eve, there is a big party in Albufeira on the square behind Praia dos Pescadores. It attracts a huge crowd every year, who come here to watch the entertainment and fireworks. Sardine Festival. 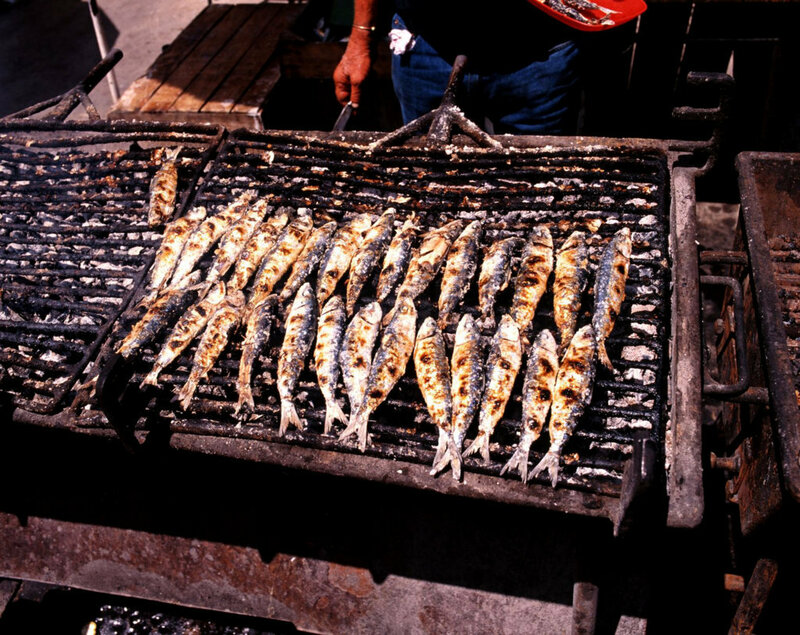 In August, there is a big sardine festival in Olhos de Água, near Albufeira. The festival basically comes down to eating sardines, while enjoying wine and music. If you like eating sardines, you will love this event. There are many things to do in the area of Albufeira. You can relax on one of the many beaches, enjoy the atmosphere in the old town or party until early morning. 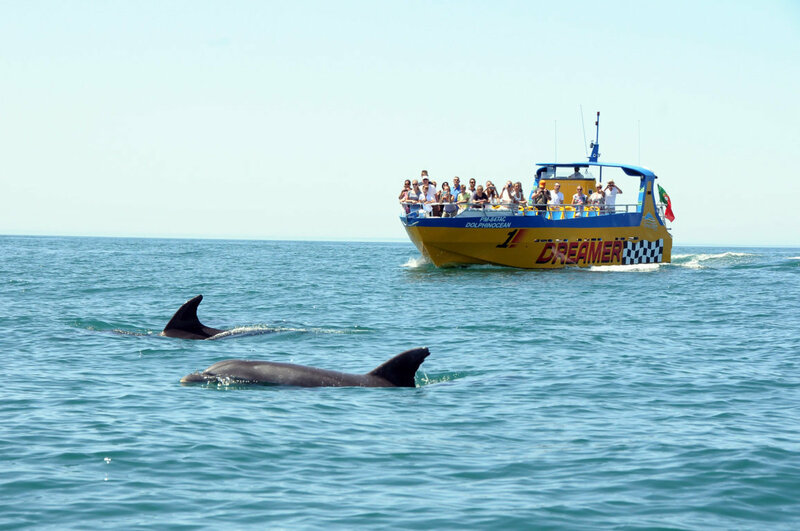 One of the coolest things to do in Albufeira is to take an excursion by boat to see dolphins. While seeing a dolphin is no guarantee, it can be quite impressive when you see one. The chance of seeing at least one dolphin is about 50/50, but also depends on the weather, the wind and the water currents. And when you don’t see a dolphin, at least you have enjoyed a nice boat trip, with amazing views of the cliffs of Albufeira. Be sure to bring sun cream on your boat trip, because the sun can be quite strong. Besides watching dolphins, there are many other excursions available in the Albufeira region. What about exploring the coastline of the Algarve by boat? Or you could visit one of the water slide parks nearby, like Aquashow. Or visit the entertainment park of Zoomarine. Some of these excursions you can already book online. Below you can find our favourite excursions in the area. Albufeira has a population of more than 40.000 inhabitants. Originally, it was a small fishing village, but nowadays it has developed into the largest touristic hotspot of the Algarve. Despite all the touristic development, Albufeira has somehow retained the look and feel of an old fishing village. Near the city beaches of Albufeira you can enjoy many different kinds of water sports. For example, go jet skiing, parasailing or enjoy a ride in the banana boat. The best place for water sports are the beaches in front of the old town: Praia dos Pescadores and Praia do Túnel. You can also take a diving course in Albufeira. There are courses for beginners and for the more advanced diving students. You will dive in a small group, accompanied by an experienced PADI professional. Dives start from 35 euros. You can for example take the diving course from the company Indigo Divers. Albufeira is a great place to play golf. There are several golf courses located nearby. 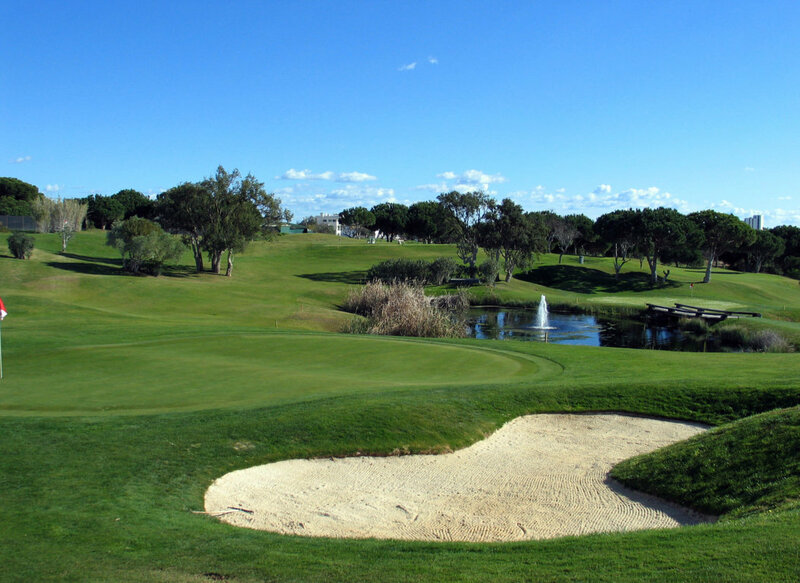 Examples of golf courses are Balaia Golf Village, Salgados Golf Course and Pine Cliffs Resort Golf Course.